Providing Assistance for Abandoned, Homeless & At-Risk Senior Pets! My heart breaks every single day when I am made aware of the plight of senior pets as uncaring humans continue to abandon them or dump them at shelters when they are somehow deemed to be "a burden". I find this to be completely unacceptable. Shameless owners dumping their senior pets at a shelter, or God forbid, on the side of the road, leaving them lost, confused, frightened and alone. Rarely is there a valid reason. There are many stories that have reduced me to tears, anger, heartache, and that helpless feeling of wishing I could do more. I'm on a mission to do more, but I need your help!! The process of setting up a 501(c)3 (non-profit) foundation for Senior Pet Project is still in the works, and the money raised for this project will be used to continue rescuing at-risk senior pets. 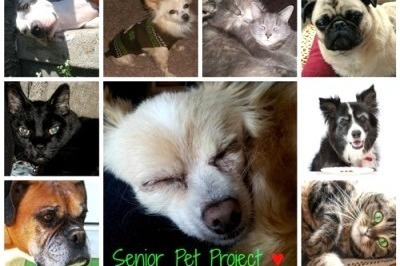 You can help Senior Pet Project by donating today! Your generous donation will truly make a difference in the lives of senior pets in need!! Won't you please find it in your heart to give today? No amount too small, as every raindrop fills an ocean.